Online-offline Integration in the physical store: Improve customer buying experience and increase sales. Online and offline can coexist and increase market share. The traditional shops will not be extinct soon, as people thought a few years ago. The Physical stores will collaborate with their online counterpart to make the customer's purchase path more engaging and improve sales data. Milan, Italy., March 22, 2019 - /PressReleasePoint/ - Already today, from Poland to Italy and throughout the rest of Europe, e-oubowie.pl designs the store of the future and launches a new model of the store, which integrates online and off-line in the sale of Footwear and accessories. 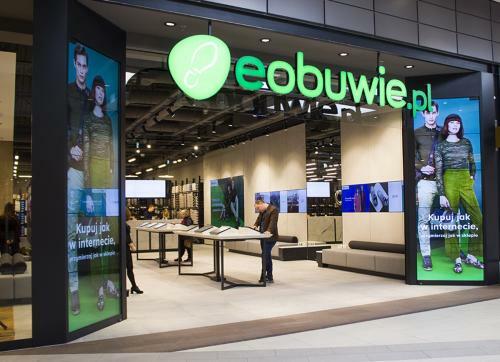 Founded in Poland by Marcin Grzymkowski in 2006, the e-obuwie.pl online retailer started expanding on the markets in 2013 and, with the purchase by CCC of a controlling shareholding in January 2016, Zielona Góra's company wasted no time and Further accelerated its expansion on the European markets, reaching also the Italian market, considered, not wrongly, very important and strategic in the path of growth of the brand that provides for expansion and presence in new and promising markets. The Polish Company is present today with sixteen distinct web portals in as many European markets. The Commercial expansion strategy of E-Obuwie meant for Zielona Góra's company to emerge from the digital presence and also open innovative retail outlets, whose design and implementation was entrusted to Dalziel & Pow, who conceived the Brand new Concept Store with its own brand of CCC, where customers have at their disposal virtually all the stock of products marketed by the House. 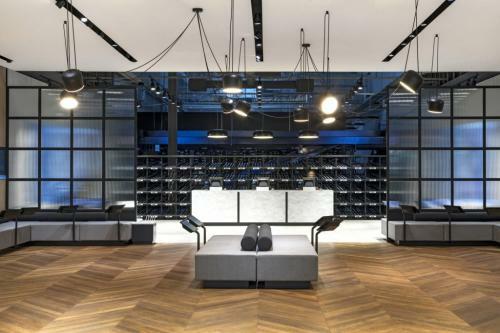 Within these very modern stores users find digital screens, foot scanners and a cozy décor, with all models of shoes always present in stock. The Polish company carried out the scan and made the 3D model of over 50,000 different shoe models, for about 500 different brands. Thanks to the 3D scanning of the customer's foot, built using the latest technology from SafeSize, the leading Dutch international company in foot scanning technology, one can accurately capture an image of both feet Of the customer, and the scanners in the store only take two seconds to do this. A few seconds of waiting is enough to compare the image of the feet scanned with the 3D model of the shoes available: one can get so precise information that allows users to always choose the shoe that best suits the shape of the foot of Customer. To facilitate the choice of the product, the touchscreen allows customers to comfortably choose the shoes they want to try. In the Polish company's vision there is the certainty that the stores of the future, equipped with digital functionalities, can fully satisfy both the practicality and the purchasing experience. For the promotion of the brand, continues the collaboration of eobuwie.pl SA for Digital Marketing in Italy with Key-One srl. Key-One was founded in 2005 as Digital Media Factory in Italy.